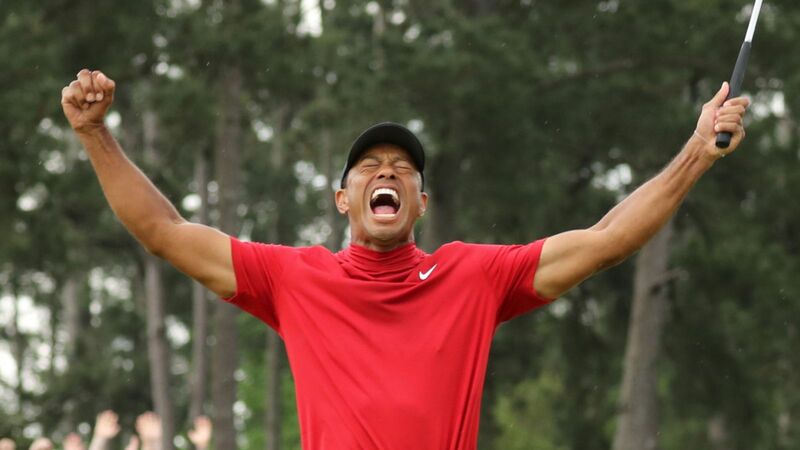 Tiger Woods has clinched the 2019 Masters nearly 11 years after his last major victory. The golf legend won the 2019 Masters by one stroke at Augusta National Golf Club, in a moment that will go down as one of the greatest in sports history. Woods finished 13 under par after shooting 2-under 70 on Sunday. Wearing his iconic Sunday red mock turtleneck, he edged Dustin Johnson, Brooks Koepka and Xander Schauffele, who each finished 12 under. When he made his final putt on No. 18, a bogey from a foot, the crowd roared on chanted ‘TIGER! TIGER! TIGER! TIGER!’ as he secured the major win.